Nexus 6 Is Finally Getting Stable Nougat 7.1.1 - AndroGuider | One Stop For The Techy You! Nexus 6 started receiving the Android 7.1.1 Nougat update first in January. Owing to bugs, Google pulled back the update and rolled out Nougat 7.0 instead, which the device had first received in October 2016. Nougat 7.1.1 has finally gotten stable for the Nexus 6 and the device is now getting the Android 7.1.1 update. The update size is ~368MB. 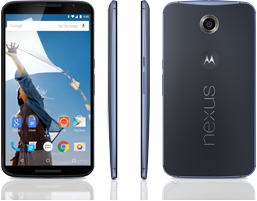 Since the OTA rollout of the update is phased, it might take some time for the update to reach your Nexus 6. It should be noted here that you must be on the latest Nougat 7.0 build to be eligible for getting the update. In case you aren't using the latest Android 7.0 update, you can flash it from here. Google didn't roll out Nougat 7.1.2 to the Nexus 6 and the phone is unlikely to be updraded to Android O which is expected to be announced on August 21. The Nexus 6 will still see some more updates in the form of monthly security patches, but as mentioned before, further major Android updates don't appear to be coming in the way of the phone. If you continue to wish to run latest Android versions you can check out the XDA forums of Nexus 6 and put on a custom ROM.